T.O.C. Finishing Corp. services are extensive and to exacting standards, “let us finish what you start”. We are experts with over 30 years of experience doing exactly what you need. We offer sample pieces and prototype to high volume production capabilities. T.O.C.’s on-site capabilities bring over 30 years of experience and craftsmanship to every job site. Our priority is meeting your finishing requirements and delivery schedule every time. With over 30 years of Metal Finishing experience and knowledge, T.O.C. Finishing Corp. can evaluate and certify your metal surfaces to ANSI/ASME B46.4, ISO 468, ISO 3274 specifications and surface roughness finish designations as required by your customer. We always provide a fast turnaround with all the required documentation needed. Not sure what you really need? We are here to help. T.O.C. Finishing Corp. offers Consulting Services that will leave you knowing everything you need to know and then some. Whether we get the job or not, we will make sure your project will be a success. Our team has over 30 years of experience in the Metal Finishing and Polishing Industry and can guide you through this process. T.O.C. 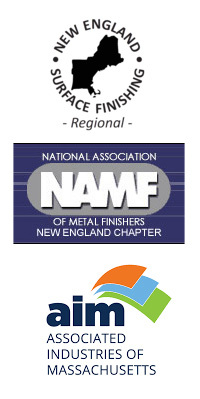 Finishing Corp. can provide local on-site training seminars to fully instruct your employees to perform many of your needed metal finishing and polishing requirements. These seminars will train your employees in all the techniques and procedures needed to satisfy your customers’ requirements.